We are pleased to announce that we will be exhibiting at Automechanika 2019! In an effort to better showcase the versatility of our tyre fitting equipment, this year we have chosen to partner with the cutters choice for wheel refurbishment, Finishing Touch Alloys. Find us on stand S188! Automechanika 2019 is set to be big for the garage sector. 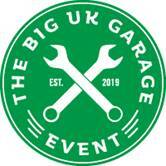 The Big UK Garage Event promises to be the biggest trip out this year for owners of workshops seeking out the latest training, tools and equipment, technology, savings and most of all some fun! With free parking for all independent garages in attendance, free breakfast, a garage pocket guide and fast track entry, it’s easy to see why this year you’re likely to see a lot more garages owners at the NEC. You can sign up for free now on the Automechanika website. Why are we sharing a stand at Automechanika 2019? You’re in for a treat this year as Autmeckanika is looking bigger and better than ever, not least because of the new Big UK Garage Event. But it can get a little dull seeing stand after stand with the same old equipment, so we thought “how can we inspire you a little?”. That why we’ve teamed up with Finishing Touch Alloys. Our equipment will be showcased onboard Ian’s industry-leading wheel refurbishment truck. Yes, the entire truck will be on the stand alongside a showcase of other equipment, tools and consumables from Tyre Bay Direct. We believe this is a match made in heaven. Those interested in tyre equipment can see why Tyre Bay Direct is the first choice, going above and beyond just supplying a machine to offer bespoke solutions to your businesses needs. This project would not have been possible without our incredible account management team. Maybe you’re here looking for a unique business opportunity instead? Ian and First Touch Alloys utilise a cutting edge “back to first principles” diamond-cut wheel machine, combined with intuitive tyre fitting equipment from Tyre Bay Direct. As a result, Finishing Touch Alloy’s franchisees are able to cut wheel faster and with complete accuracy. Diamond cut finished alloys is on the move, becoming more mainstream as alloy wheels become more complex. 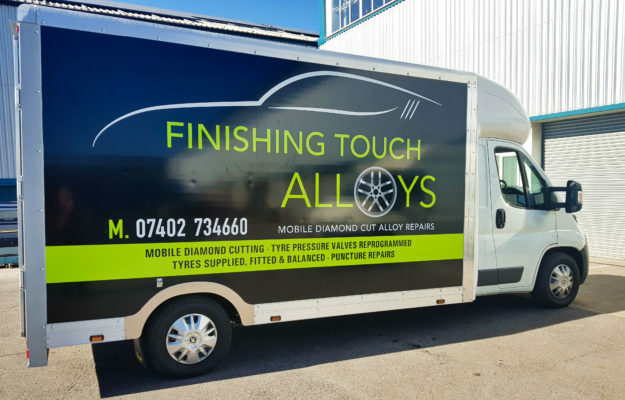 Finishing Touch Alloys have not only developed a mobile system to carry out a high standard repair on site on the same day, offering body shops a faster turnaround of repairs but they are showing you have you can get a piece of this pie! Much more competitively priced but with personal experience, the team are always on hand to help. We highly recommend you stop by stand S188 and that’s not just because we’ll be there! Sign up to visit Automechanika 2019 today! The Atlas Platinum Team Grows Stateside!